If you know me in real life, if you’ve spent any amount of time scrolling through my Instagram feed, or elsewhere online – you will PROBABLY know that I am just a tad bit obsessed with planners. All sorts of planners – paper planners, bullet journals, hourly planners, I love them all! I use planners for my blog writing, my other projects, and especially my homeschool planning. One type of planner I had NEVER tried before? Online homeschool planning. I have always said I need things written on paper, in front of my eyeballs at all times, in order to remember things. I was highly skeptical of any kind of online homeschool planners – apps, website, any of it. Until one day, along came Homeschool Planet and my eyes were opened! When I had the opportunity to take Homeschool Planet for a test drive, I am not going to lie – I was hesitant. I like my paper planners and my notebooks and stickers and highlighters and pens! What possible use could I have for one.more.planner?! I was so excited to get digging in to Homeschool Planet – once I got it set up, it was SO easy to work with. From easily customizable profiles and settings, to pre-created lesson plans – and so many other features in between – Homeschool Planet really is a thorough, comprehensive and easy to use method of homeschool planning. How does Homeschool Planet work? Set up your week – will you homeschool full five days, or maybe schedule in four days? Set up your days – this is where you input your lessons, click the subject and enter the lesson for that day. No need to reinvent the wheel – choose from Homeschool Planet’s already created lesson plans. 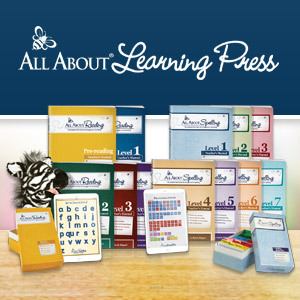 Click it, buy it, and it automatically gets slotted into your homeschool plans! Set up plans for everyone OR set up individual plans for multiple students! There are even widgets for keeping notes, grocery lists, and anything else you need to make a quick list or note about. Who Would Love Online Homeschool Planning? If you’re NOT a paper planning maniac like I might be, and prefer having your plans on your computer or tablet – then this will be perfect for you. So many of us homeschooling families do a lot of our work ‘on the road’ and in the car or at the library or any number of places – having your planner online saves space and paper. I did most of my trial on my iPad – while there are still a few things they are working on for Safari users, if I simply clicked “full website view”, I was not hindered at all in my ability to use all the components of Homeschool Planet. I can definitely see a benefit to having my plans on my iPad as opposed to keeping track of multiple paper planners. Finally, I happen to have one particular child who THRIVES on organization and well-planned days. Using an online homeschool planner like Homeschool Planet will allow me to create HIS individual plans for the year, make sure all important dates and days off are inputted – and then he can log in and see what he needs to do that week or day. As he’s getting older, he really wants more independence and control over his homeschooling – and I think Homeschool Planet is going to be the winning idea for this child.